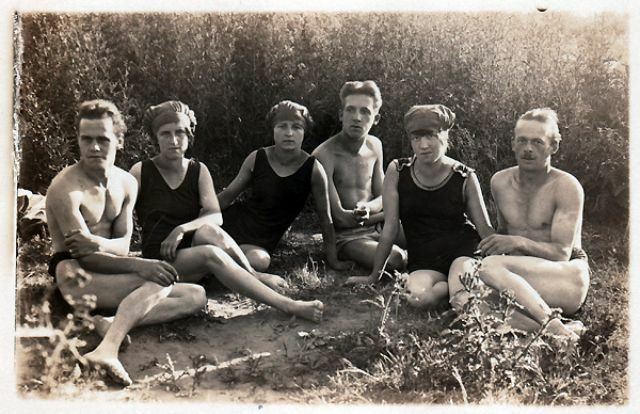 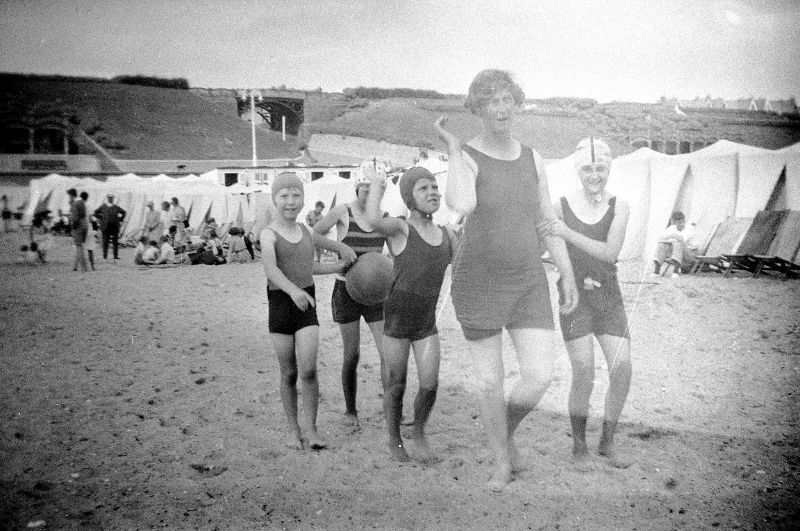 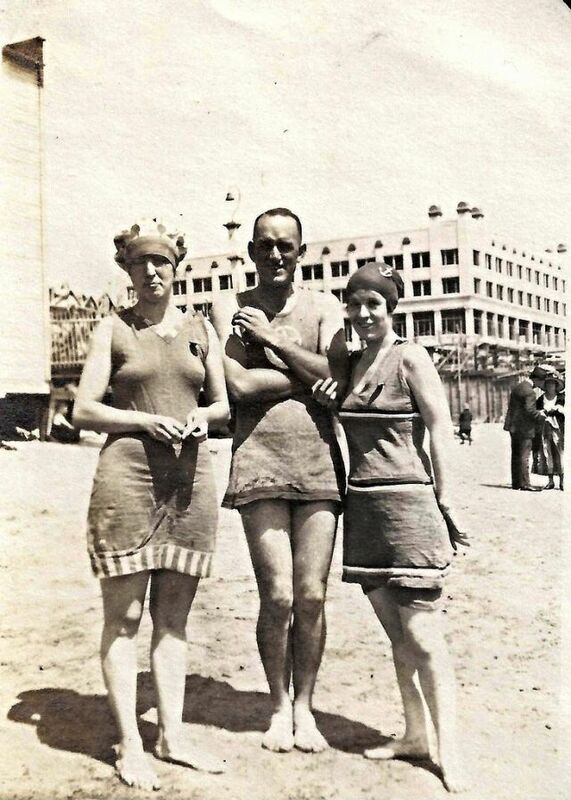 Unlike the fashion boom of the Roaring Twenties, swimwears during the 1920s had little change since Edwardian era for both men and women. 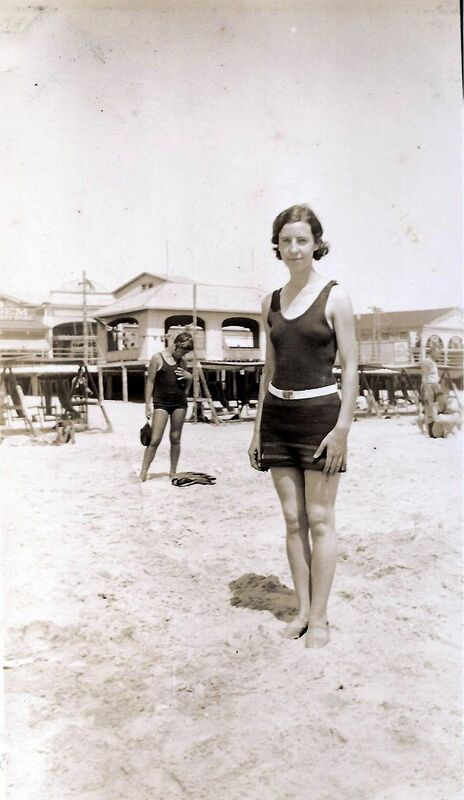 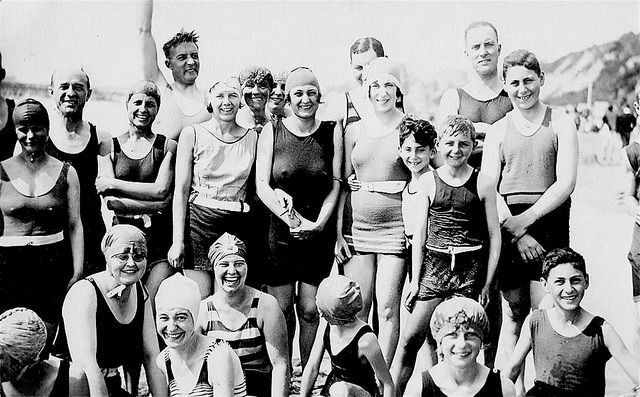 Most of bathing suits in the 1920s were made of wool. 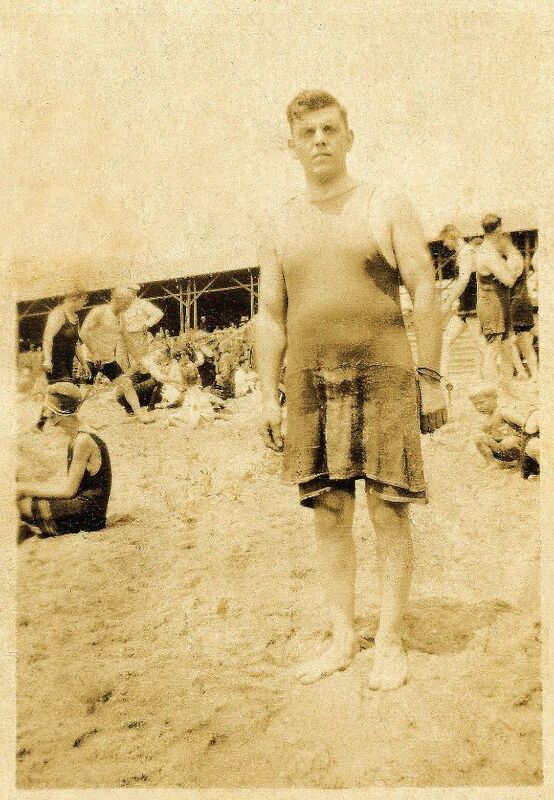 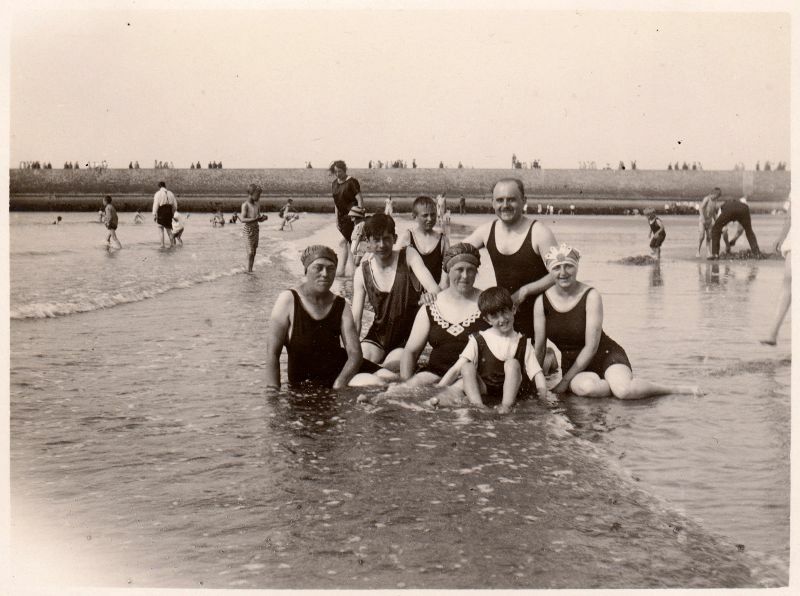 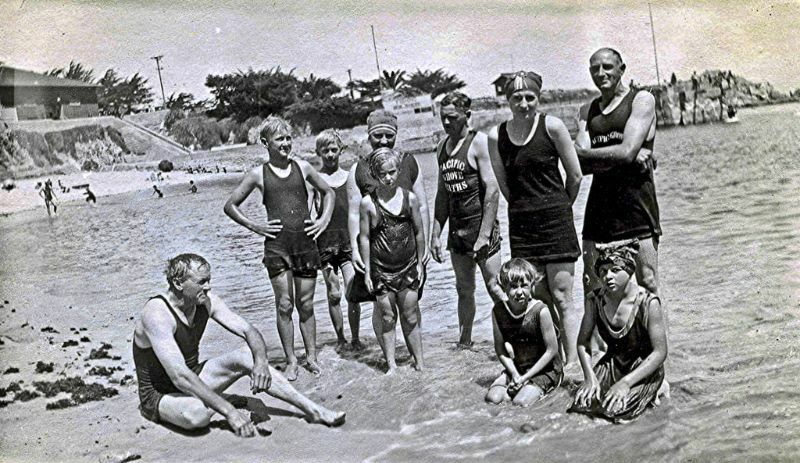 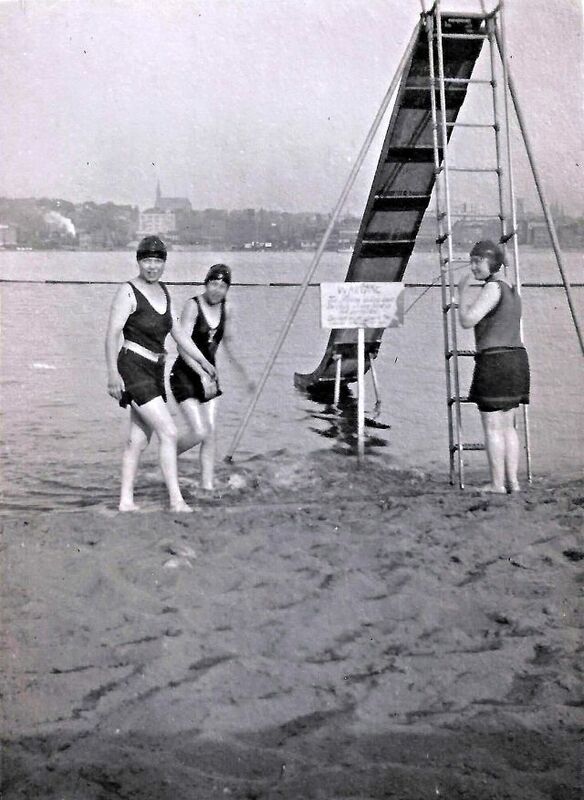 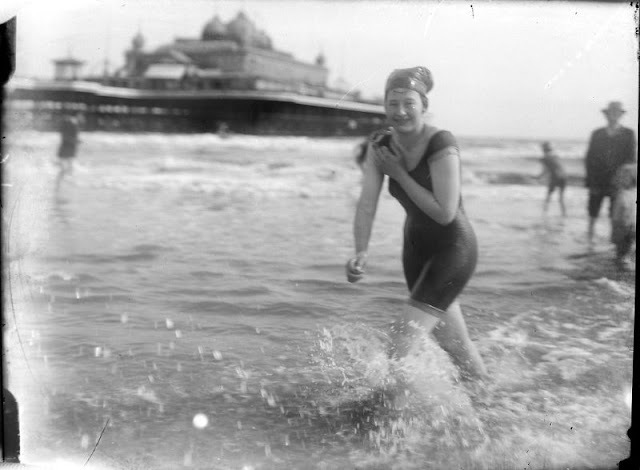 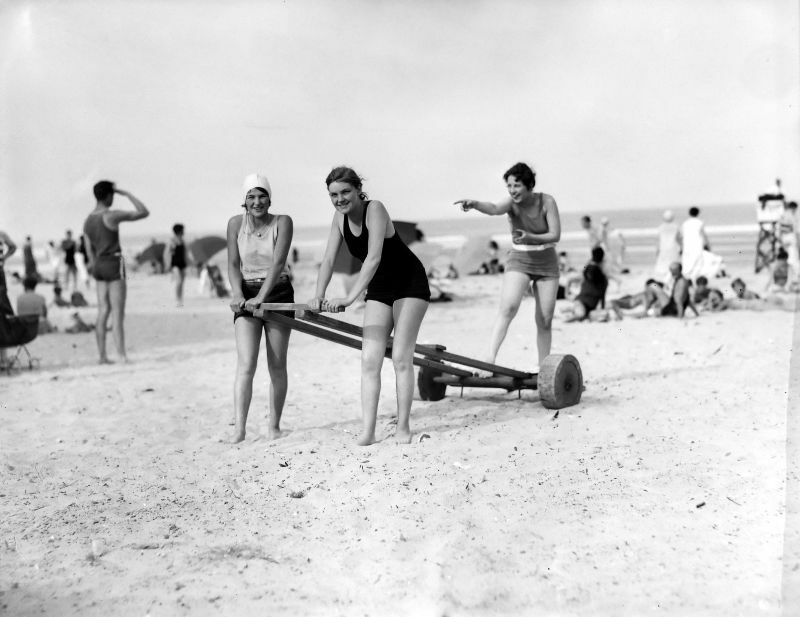 Until the 1920s, the idea of going to the beach and actually getting into the water to swim was still relatively new. 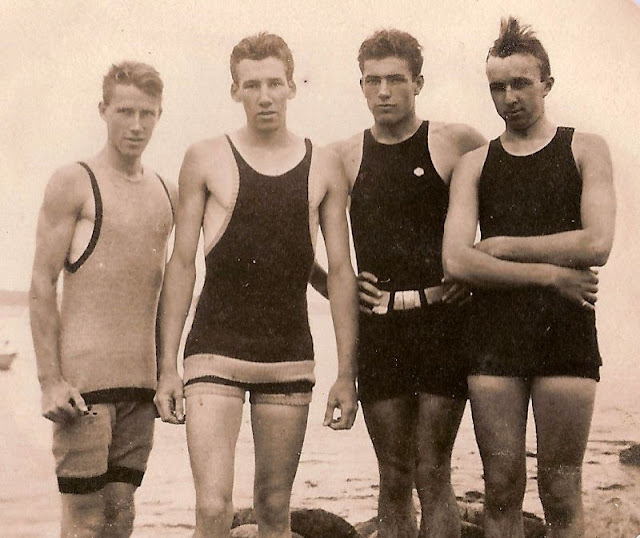 Functionality in swimwear was not as important as fashion, so the prevailing theory was that wool would help keep you warm. 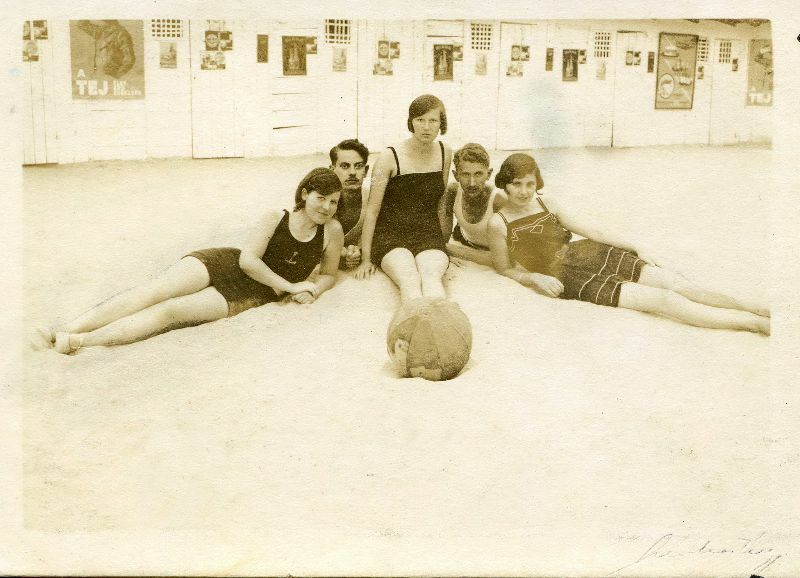 As swimming for recreation came into vogue in the 1920s, makers of swimwear had to adapt and make swimwear, well, for swimming. 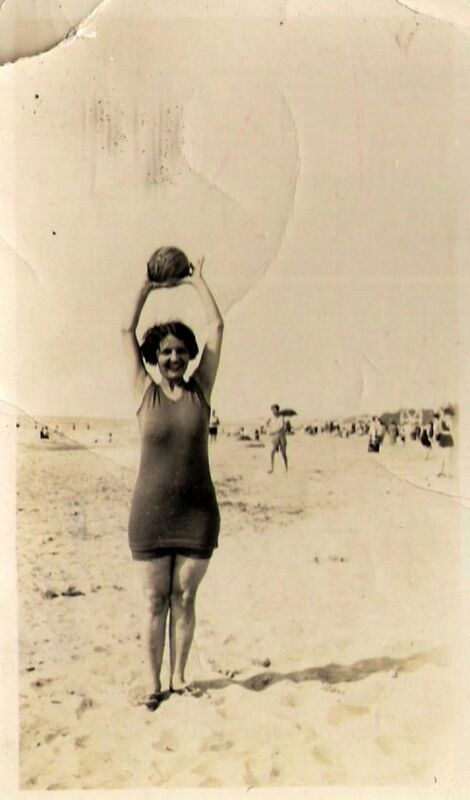 And although swimwear also became shorter, women had to be on the lookout for the beach police who patrolled the area with measuring tape in hand. 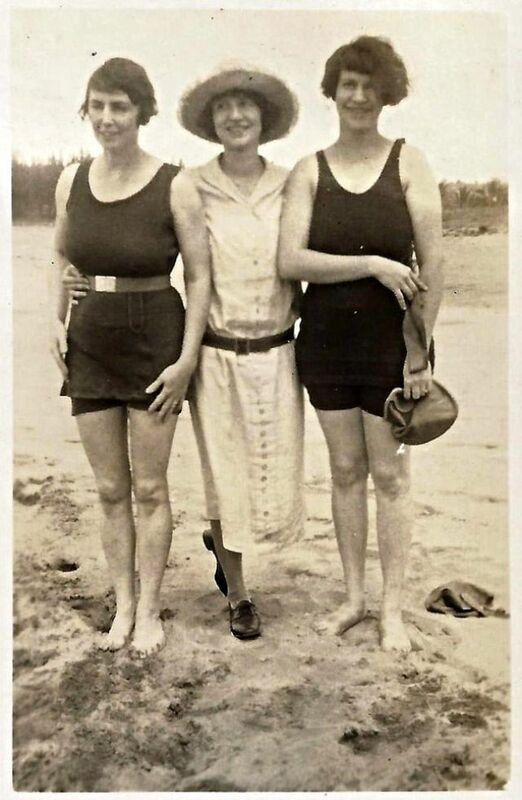 These skin censors would measure the distance between the bottom of a woman’s bathing suit and her knee. 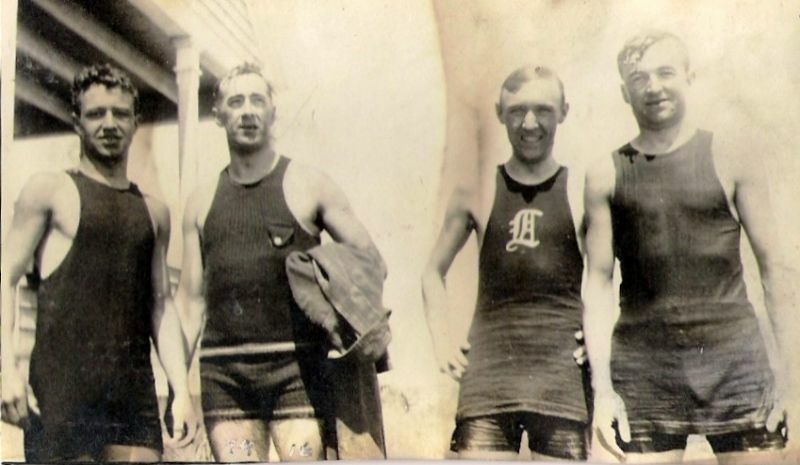 Too much bare skin and that could result in a hefty $10 fine or even being hauled off to jail! 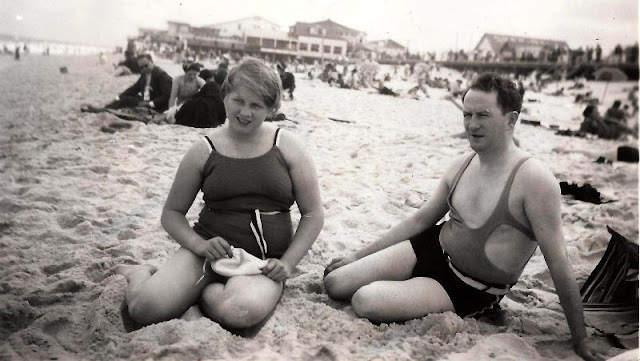 Most of these modesty rules were lifted by the mid twenties and could be the main reason that has hindered development of swimwear fashion in this period. 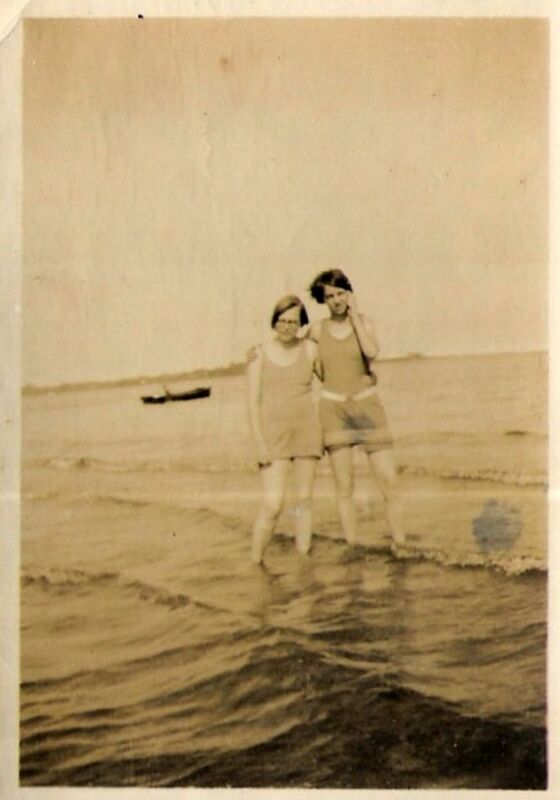 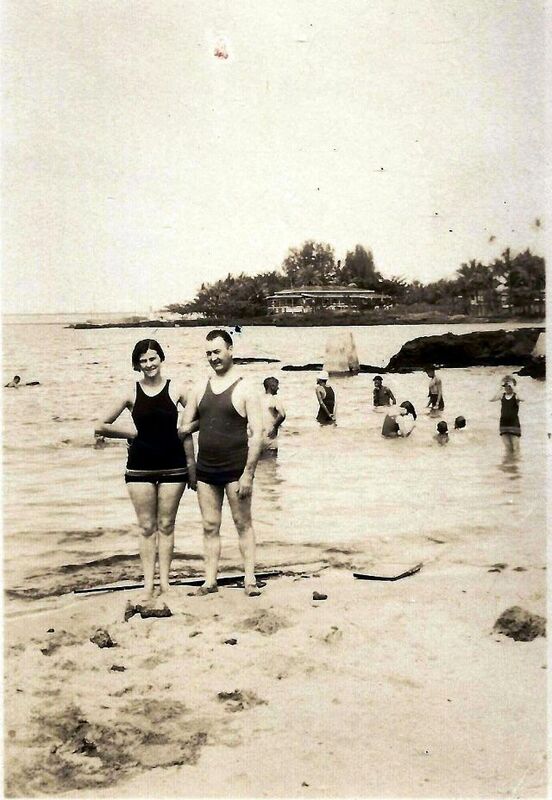 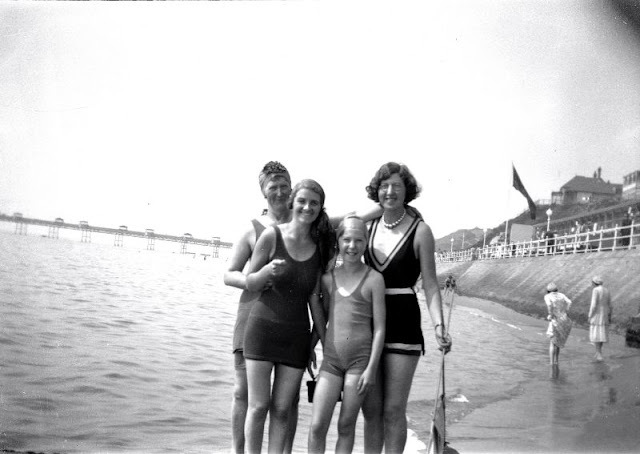 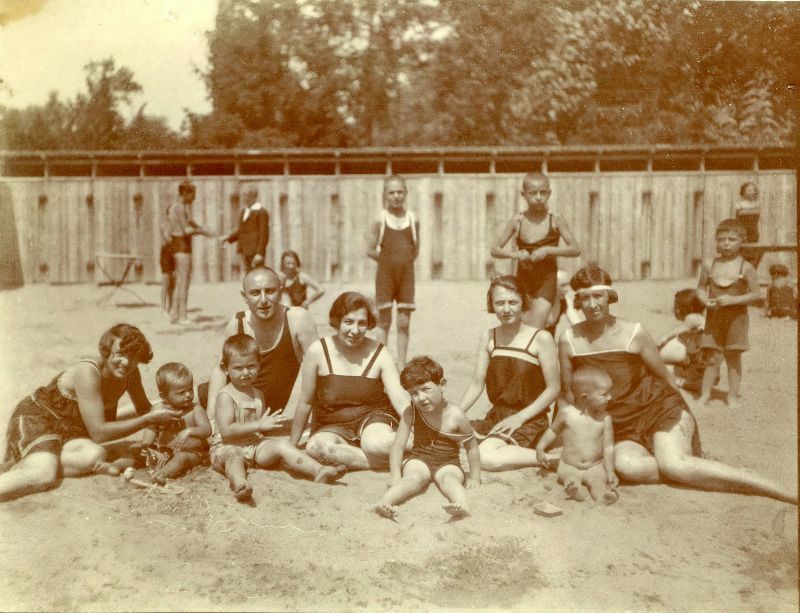 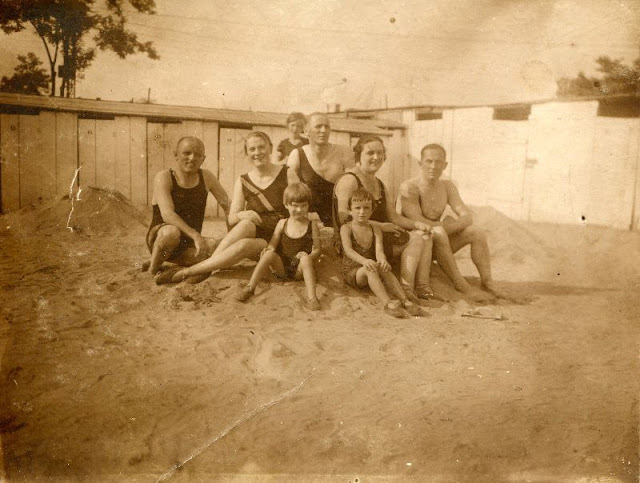 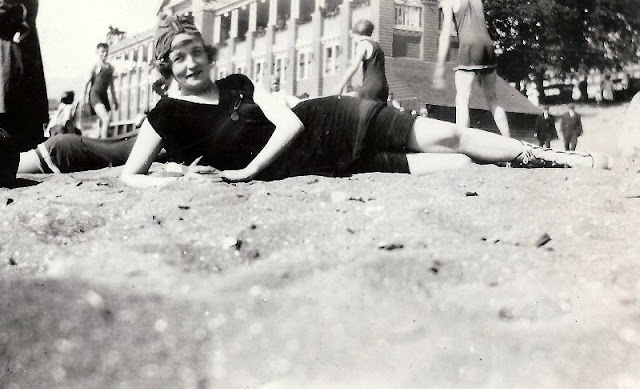 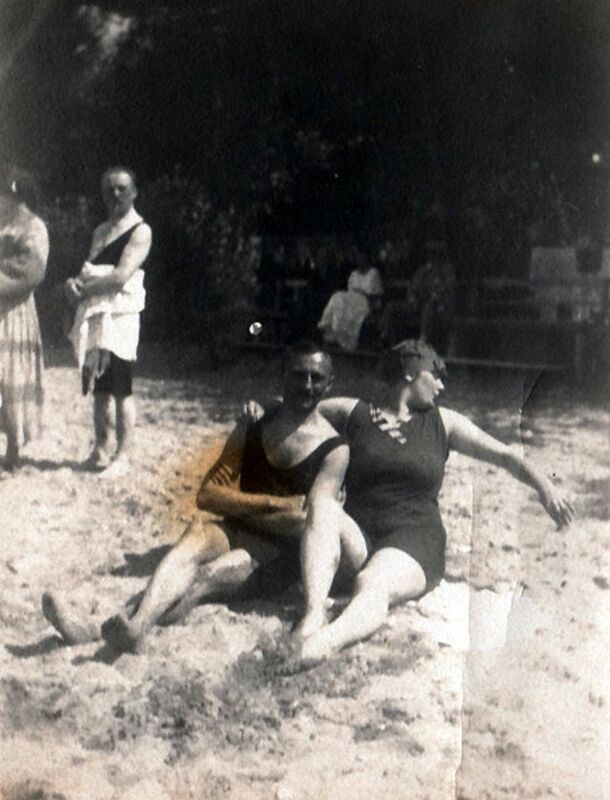 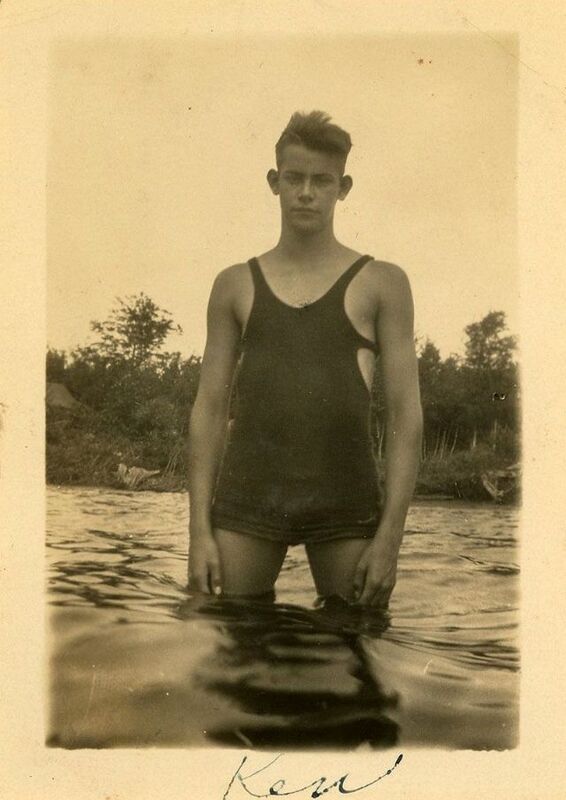 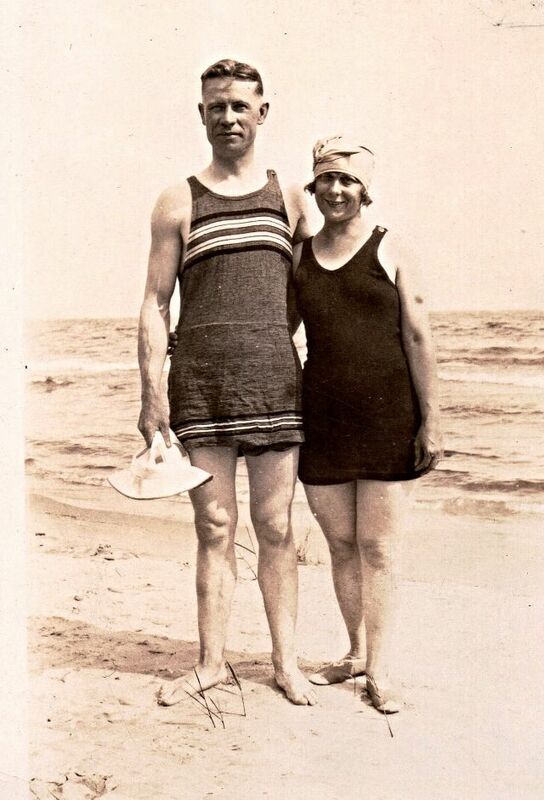 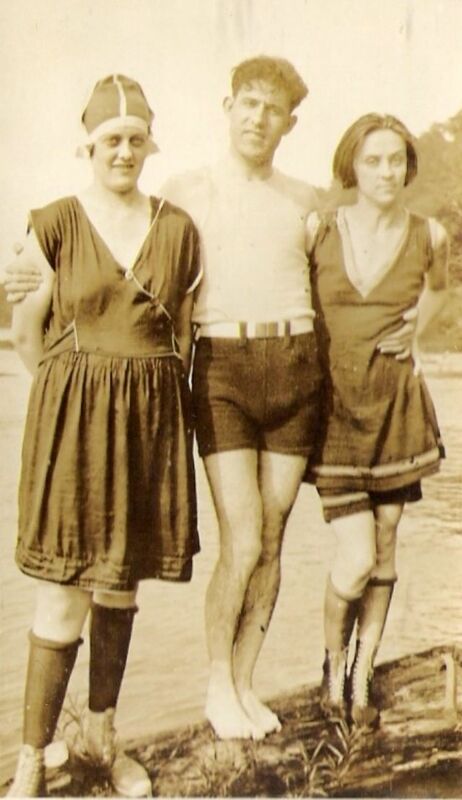 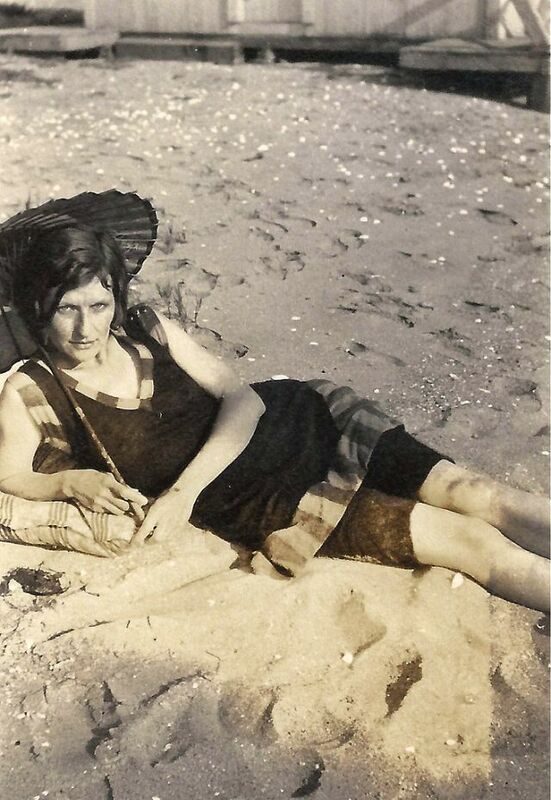 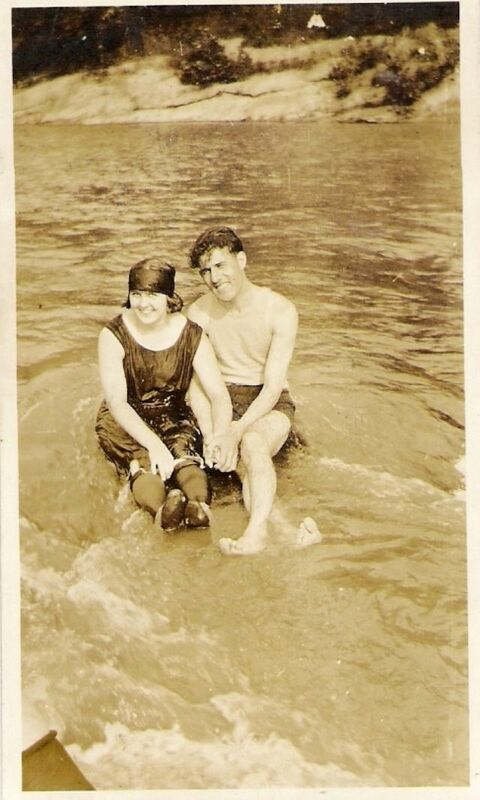 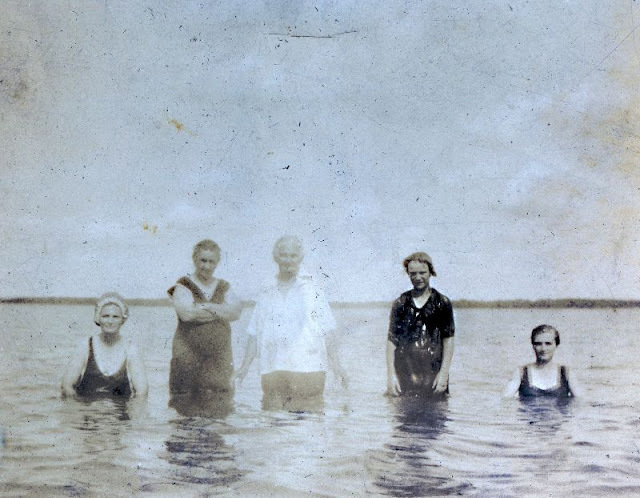 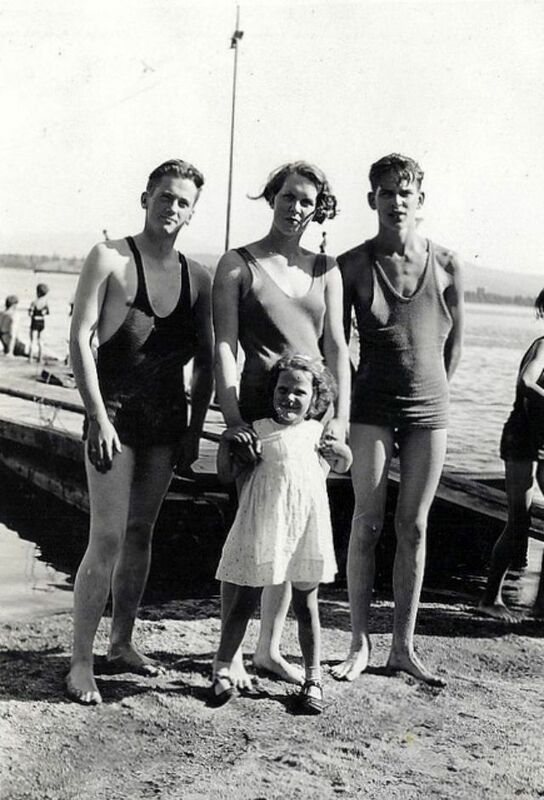 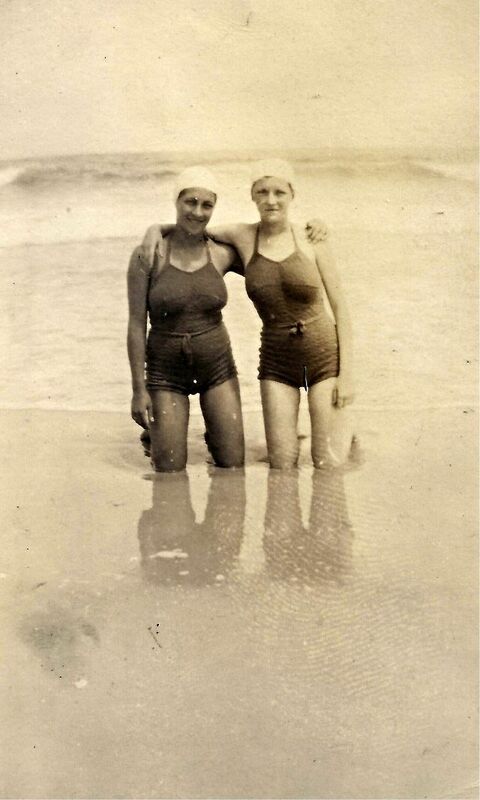 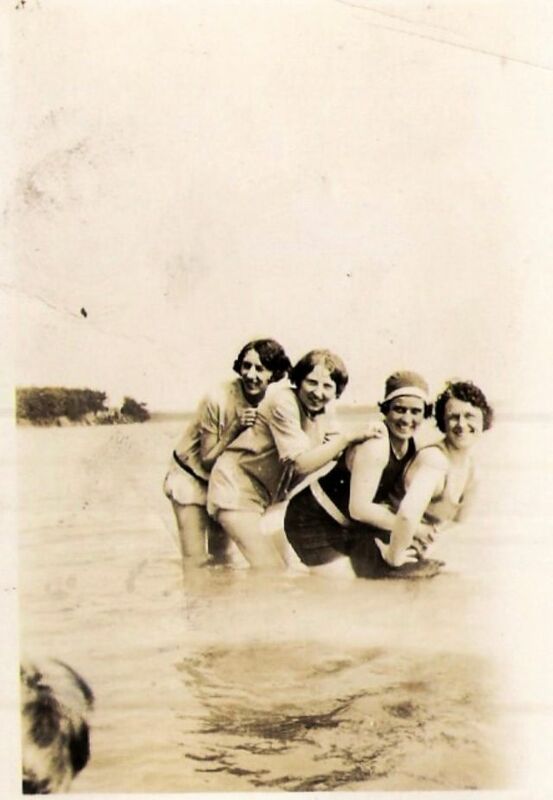 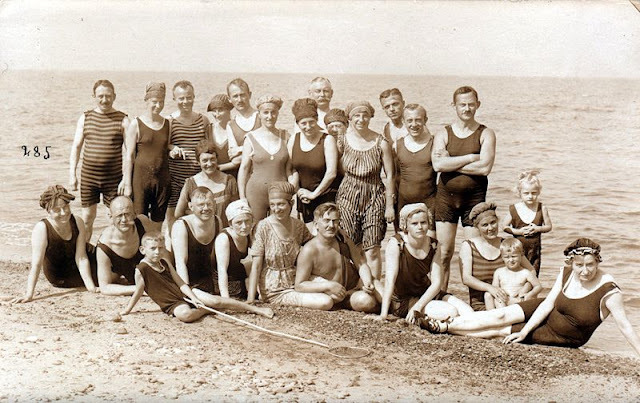 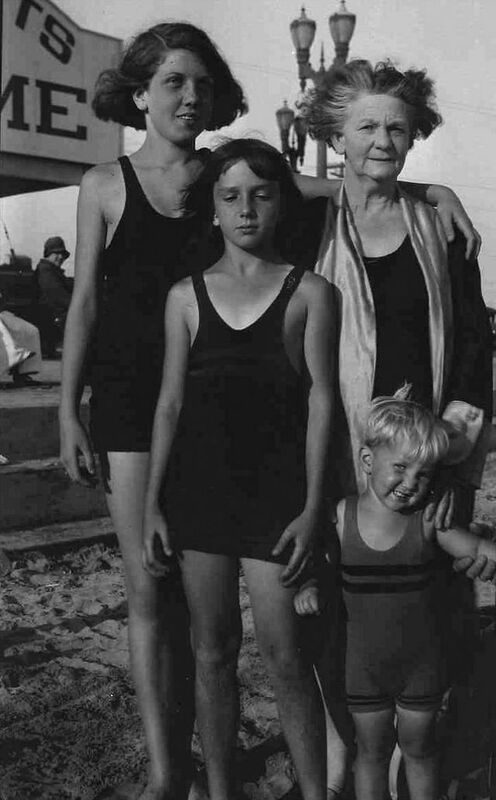 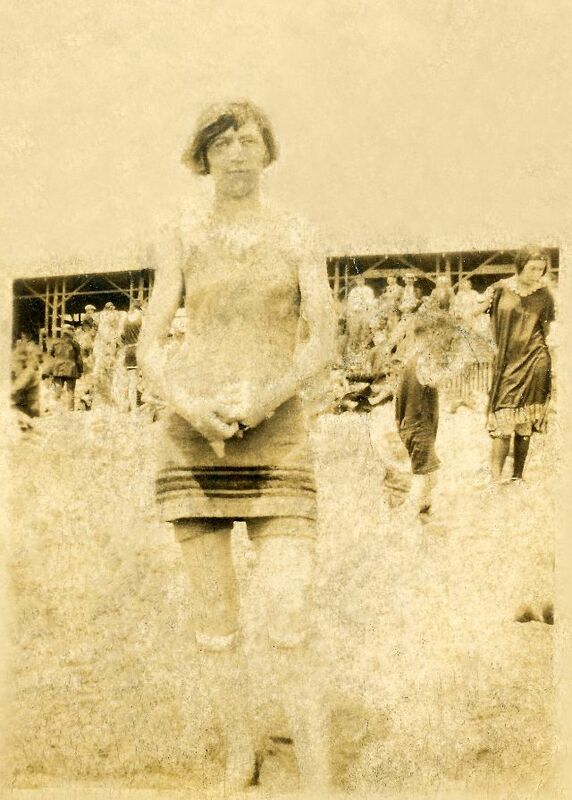 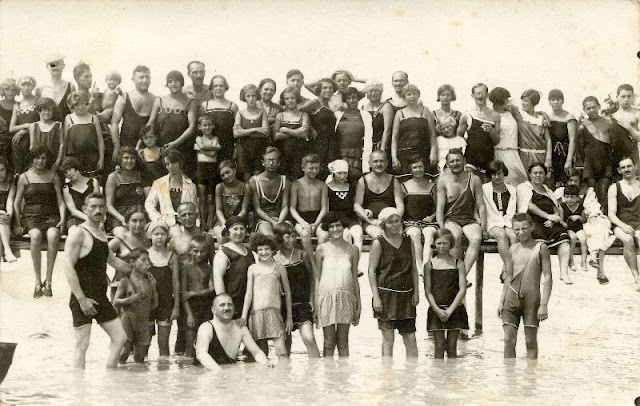 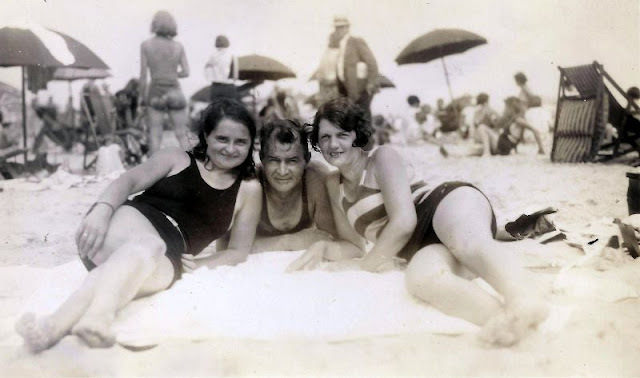 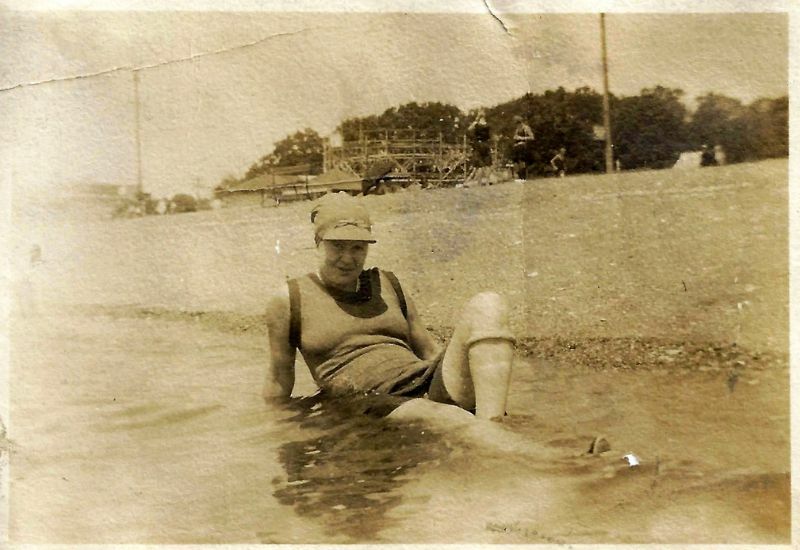 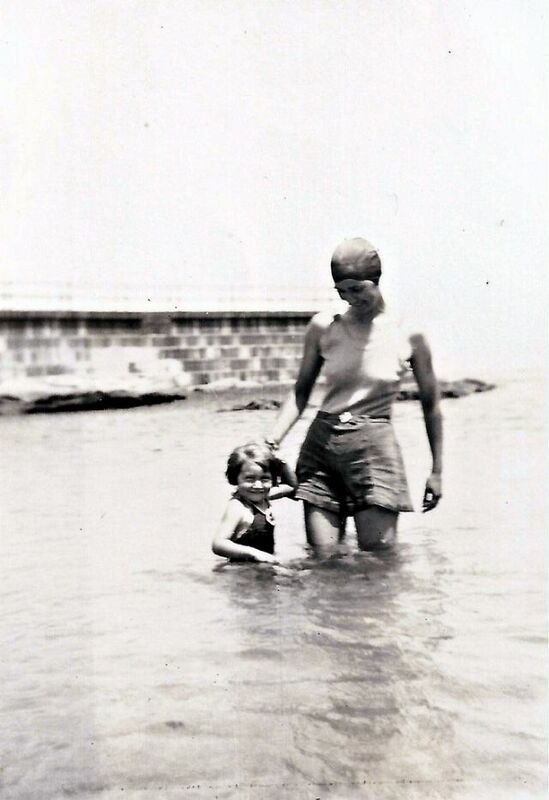 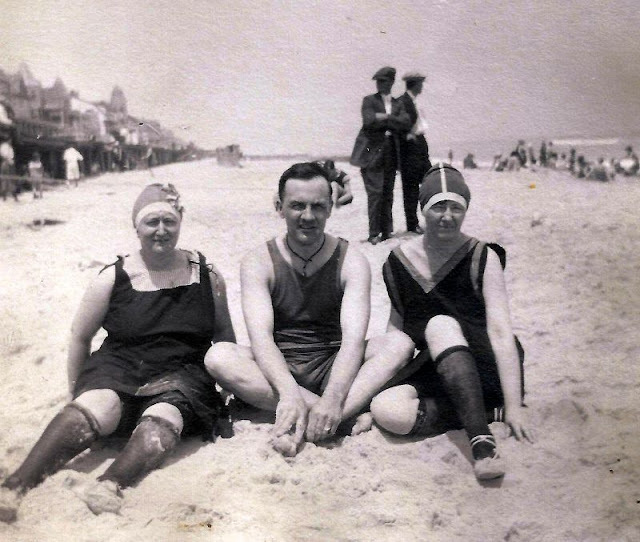 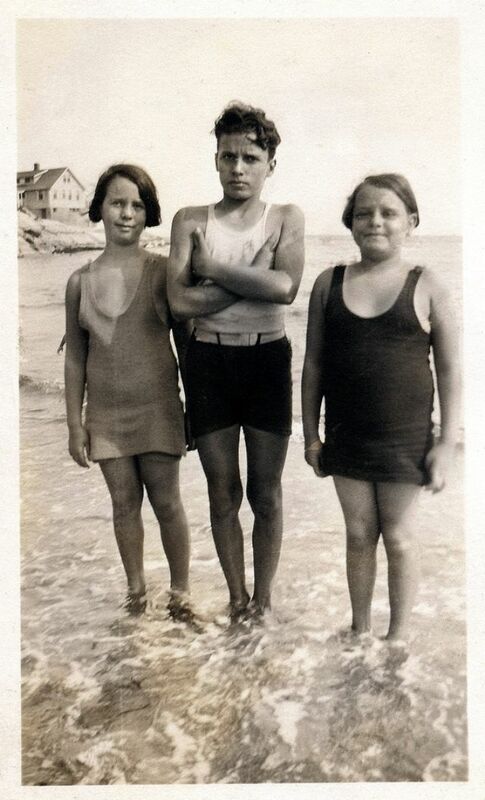 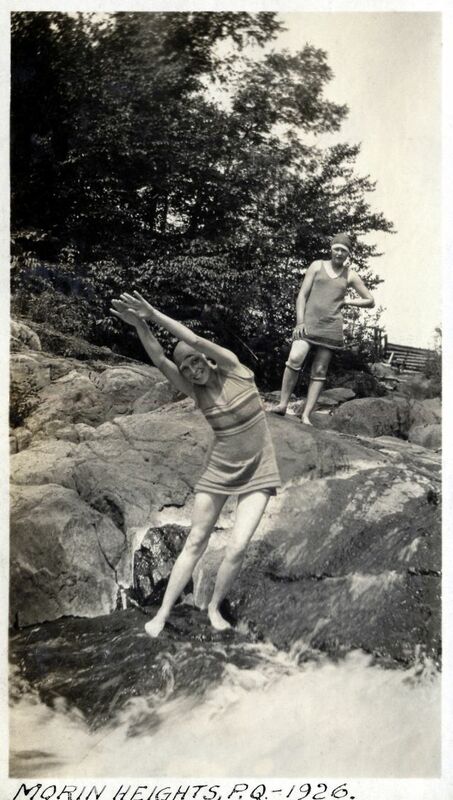 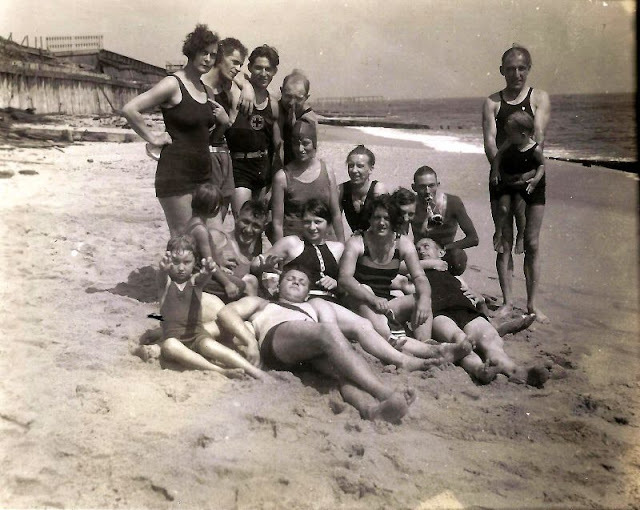 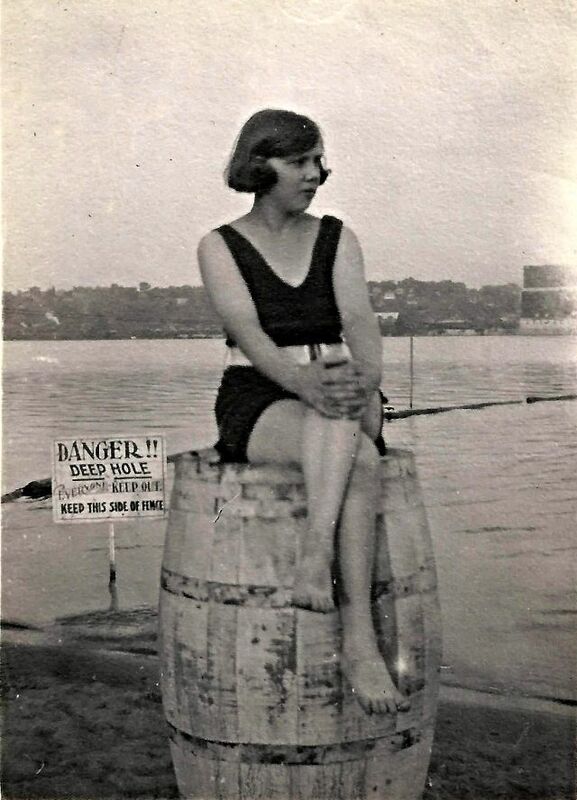 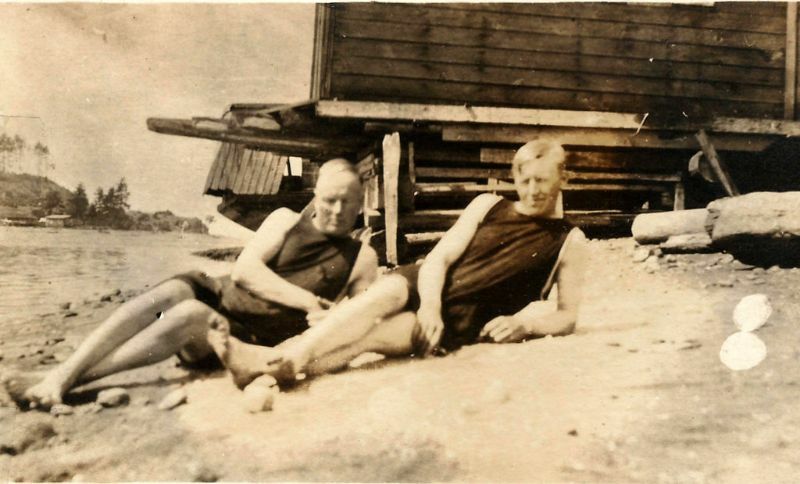 Take a look at these found snapshots to see people in their bathing suits from the 1920s.